The 2014-15 season will mark the fourth year of the Bobbie Kelsey era, and a critical turning point for Wisconsin Women’s basketball. She is 31-58 in her first three years at UW and has never finished better than 5-11 in Big Ten play. Kelsey and the Badgers will have a few golden opportunities to showcase an improved team this season, as the Big Ten announced its conference television schedule on Monday. The Badgers will make up to five national television appearances on BTN this year, with a minimum of four appearances guaranteed. It all begins at the start of the Big Ten season for the Badgers, as they play host to Michigan on December 28 at 3pm CT. The game is scheduled to air on BTN. 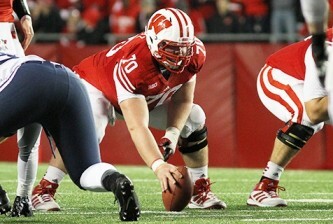 In all, the Badgers will have four home games air live on BTN. Wisconsin will also host Penn State on January 6 at 8pm CT, Ohio State on January 29 at 8pm CT and Maryland on February 19 at 8pm CT. The final contest of the regular season is a flex game that could air on BTN depending on conference implications. It’s the only road game that UW will have the potential of having on national TV, as they go to Penn State to end the conference regular season. Four seniors will lead the way for Wisconsin, a team hoping to get back to a winning record for the first time since 2010-11 when it finished 16-15 overall. Wisconsin will open up its season on Nov. 16 as they play host to Illinois State at 4pm CT in the Kohl Center.